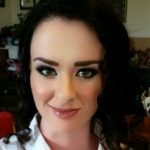 As a new contributor, the Migraine.com team asked Amanda questions on she copes with migraine, how she handles migraine awareness (or lack thereof) and misconceptions, as well all of the treatment options she’s tried. Can you provide tips or share what type of approach you have taken to cope with migraine? My approach to managing chronic migraine has been less about me and more about what I can do for others. While finishing my double bachelor’s degrees, my migraine started appearing daily. My family and even my primary care dismissed it as being from too much stress since I was going to school and working. Fast forward two years, I was finished with school and was still trying to manage this daily pain. This was not the first time I was faced with managing a chronic health condition; I had problems with Endometriosis since I was 14. I turned to Facebook and looked for migraine pages and support groups (something that was not available when I was trying to learn about Endometriosis); one of the groups I found was Chronic Migraine Awareness. I was not looking for answers to my own questions, but more of who could I help deal with their migraine. Since I grew up with episodic migraine I knew some tips and tricks to managing a migraine and wanted to help others to deal with their migraine. Through the conversations I had within this group I developed some amazing friendships that I still have all these years later. I also started to work with the woman who created the support group and over the years we, along with other hard working people with chronic migraine, turned her support group into a startup non-profit. Unfortunately my chronic migraine has not improved but I have seen a number of people achieve remarkable results with their own cases and I continue to push myself and others forward in the right direction. It helps me to know that I have made a difference in somebody else’s world even though my pain is still hanging around. Rather I am sending somebody an uplifting card, giving them protein shake recipes, or other old fashion tips and tricks to managing a migraine; I help myself cope with the seemly permanent nature of my condition by helping other people survive their day. What do you wish people understood more about migraines? There is so much that I wish people understood about migraine. Of course the biggest thing is that a migraine is not just a bad headache, there is so much more to a migraine and a chronic migraine than a headache. I feel like it is very hard for somebody who has never had a migraine to understand how miserable it can be to have one. As far as my family is concerned, I am pretty lucky. My husband, mother, and aunt all have episodic migraine and when they get a migraine, they definitely feel the full effect of one. So if nothing else, they have an understanding of what experiencing a migraine is like and can sympathize at the thought of having one every day. Despite this, I do still have those family members who simply cannot understand why I cannot stop by after work and do something for them. They do not understand how much it takes to make it through the work day; much less add anything else to it. I do wish these other family members were able to understand that I truly cannot do something because of my pain levels and not because I do not love them or want to see them. I really wish my colleagues had a clue how bad a migraine is compared to a headache. I have only worked with one woman who also experiences chronic migraine. Everybody else basically equates a migraine to a hangover and while I am sure a hangover is not a very pleasant experience, a migraine is a very different creature. One cannot simply take BC Powder and shake off a migraine unfortunately. One of the responses I personally dislike the most is when a colleague says they get migraines as well and ask if I have tried Excedrin or Advil for Migraines…. Although many of my colleagues still have a long way to go, several have started being able to identify changes in my appearance, rather it be how red I get in my face or the way my eyes look, when I am in a lot of pain and know to let me have my space for a while. How has your treatment plan evolved or changed over time? When my migraine changed from episodic to chronic, I tried to treat each migraine like I did when I was episodic. This led me to quickly realize, it would not be possible to take all the abortive medicines and hide from the world every single day. From that point, I have seen a number of neurologist and headache specialists. With these doctors, I have tried many different preventatives and abortive medications, including some old fashion pain medications. I have tried nerve block injections, the Stim surgery trial, and Botox injections as well. On the untraditional path, I have attempted chiropractic, acupuncture, massage therapy, aqua therapy, and the use of essential oils. As far as lowering the frequency of my migraines, the only thing that has made any change for me has been the Botox injections. By no means am I saying that Botox ‘cured’ me but that it has made it to where I do have a few days out of each month where I am not completely miserable. For somebody like me who was having extremely bad migraine daily, this is a big step forward. I have abortive medications and muscle relaxers to help deal with my worse days. Since abortive medications are not designed to be used daily, I choose to wait until the pain from the migraine becomes significant enough that I cannot focus. (This is not how they are designed to be used). I utilize things such as hot showers and neck massages in an attempt to bring my pain levels down. I consistently drink plenty of water and on a bad day some Gatorade. I also never get too far from my sunglasses. When all else fails and I am not able to just ignore the pain, I utilize the medications and techniques that I have and try to go to bed. Meanwhile I consistently remind myself that I fight this pain for my loved ones and that I cannot give up because while I have not found my cure today, I may just find it tomorrow. I’m glad the article resignated with you. You definitely have to have something to fight for to help push through the pain, even if it’s a fur baby.